Roddy Battajon remembers his grandmother’s hands, weathered under the Caribbean sun, inspecting each fruit that would ferment inside a wooden barrel constructed by his grandfather, as she crafted a batch of the family rum. It was a ritual observed during his childhood, not for business, but for creating an experience with friends and family. Years later, after studying the intricacies of distillation, fermentation and mixology, both in school and in bars and bistros around the world, Roddy has brought his family tradition to Saigon, where he stands as the maker of Vietnam’s first handcrafted rum: Rhum Belami. Sitting in his apartment in District 2, where he tinkers with different recipes and techniques in a small lab used to supplant the company’s main facility, he’s eager to share his work. 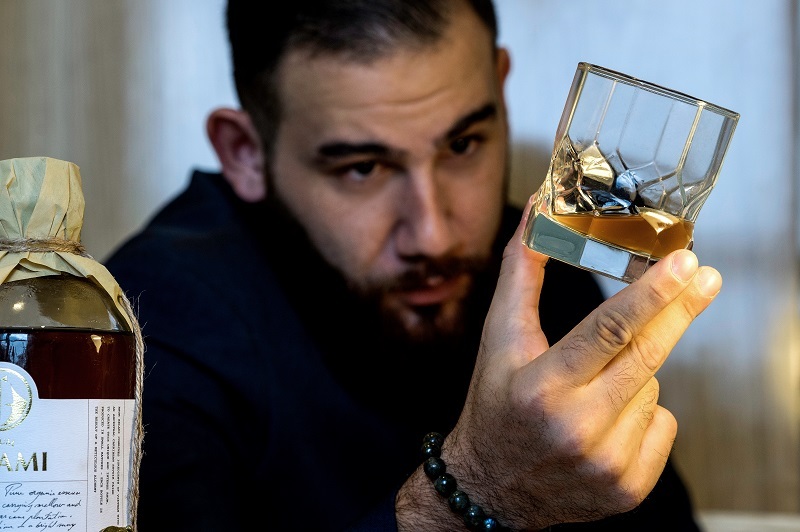 Comprised of a lean, three-person team, Roddy is undoubtedly the scientist behind the rum, though he credits the synergy between himself, general manager Juyee Cheng, and designer Christian Gazia, who spearheads branding and communication, for bringing Rhum Belami to life. He pours a glass of the Legacy Edition, serving it neat, and carefully watches my face while sipping it down. At first taste, the gold elixir is sweet and crisp with passionfruit and traces of herbs and flowers native to Vietnam, such as lemongrass and hibiscus. 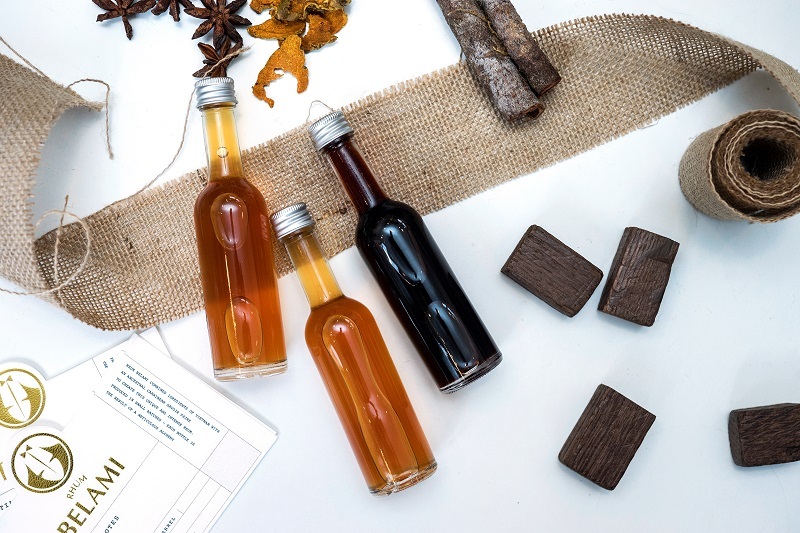 Then, the flavor evolves and the oak barrel that the rum is aged in becomes present, followed by a twist that’s spicy, the result of red and black pepper. What’s most surprising, though, is that it goes down dangerously easy at 55% ABV. 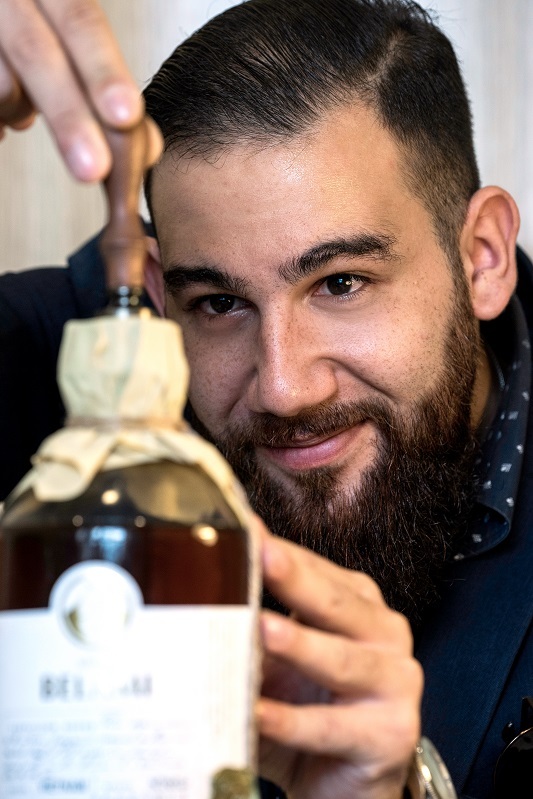 As we talk, it becomes apparent that this experience Roddy has managed to bottle is the combination of his life’s journey and the country in which Rhum Belami is made. Staying true to his heritage, he’s brought the fundamentals of Martinique’s rum tradition with him, yet the ingredients, like the osmanthus flower, the water from the Central Highlands, and the pepper from Phu Quoc, come almost entirely from Vietnam. Simply finding these ingredients of satisfying quality can be a main challenge in obtaining consistency with each batch. “It’s a real adventure when I go to the market here and look around at the products,” says Roddy. “Like my grandmother, I use my hands to touch the fruit and inspect it closely. I need to be very careful choosing my suppliers to ensure we have the same quality every time. In order to fully grasp how highly the connection with the location of production is regarded, it’s worth noting that Martinique holds the only distinction of appellation d’origine controlee (AOC) in the rum industry, recognized under French and European law. Typically reserved for products like wine and cheese, the designation is given to a food or beverage that’s truly unique to a region. This is a particular point of pride on Martinique, where fresh sugarcane juice and local spices are a hallmark of the rum, giving characteristics and flavors specific to the island. 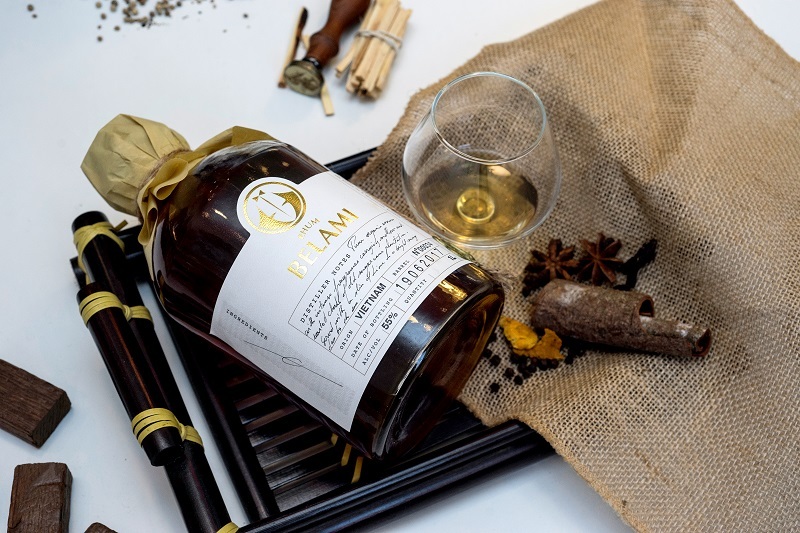 Emerging from this tradition, Rhum Belami is made strictly with sugarcane juice as the base ingredient, requiring immediate fermentation unlike the alternative of molasses. The latter is more prevalently used by large producers, allowing them to store the primary ingredient and export it around the world as needed. “We want a new way to consume alcohol,” he says. “If you change that, I think you change the way people spend a night together with friends. You change the experience.” At the moment, it’s an experience that can be found at a growing list of bars and restaurants in Saigon, including Cuba Casa del Mojito and La Bodega, as well as CohibaR and Factory 47 in Da Nang. future after just launching in April.